Thanks to 177 generous donors, Concordia Seminary, St. Louis raised $57,414 on Giving Tuesday, Nov. 27, surpassing the Seminary’s $50,000 goal and setting a new Giving Tuesday campaign record. The amount raised topped last year’s total of $21,010 by 173 percent and is the most the Seminary has raised on Giving Tuesday in the four years it has participated in the international day of philanthropy. This year donations were matched, dollar for dollar up to $25,000, thanks to a generous contributor. The raised funds benefit student aid, supporting the Seminary’s mission to prepare the church’s future pastors, deaconesses, missionaries and church leaders. 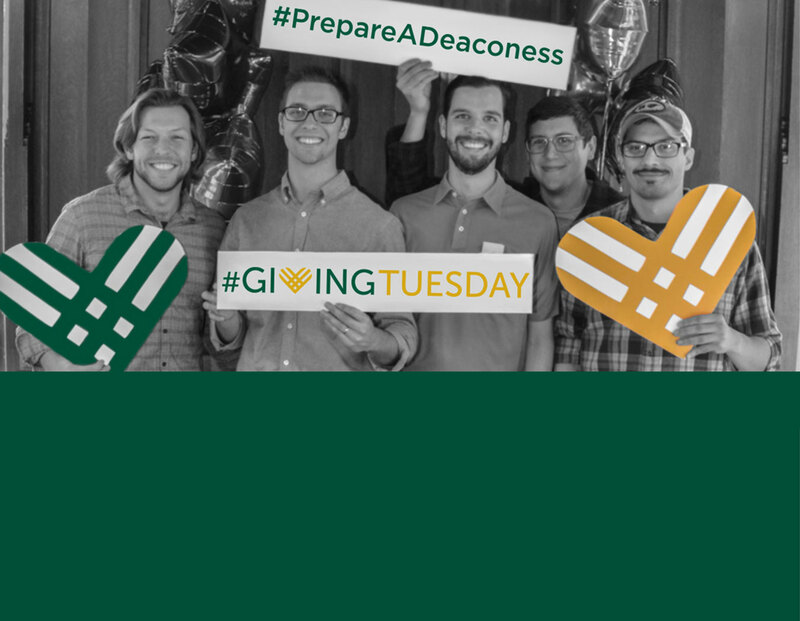 The Seminary’s Giving Tuesday campaign encouraged donors to use #PrepareAPastor, #PrepareADeaconess and #GivingTuesday on social media to help spread the word about the campaign. On the Seminary campus, students, faculty and staff were encouraged to wear Giving Tuesday T-shirts to encourage the support of friends, family members and colleagues. The 2018 campaign also marked the first time that donors were able to text donations to the Seminary. Now in its seventh year, Giving Tuesday is an international day of giving that focuses on philanthropy instead of the consumerism of the post-Thanksgiving shopping season. The next Giving Tuesday will be Dec. 3, 2019. Watch a video of students thanking Giving Tuesday donors here. For those who still wish to give to the Seminary during this holiday season, call 800-822-5287, write to advancement@csl.edu or visit www.csl.edu/give.